In 1997, Lynne improved her attitude by using her skills and passion to raise awareness for FM and chronic pain. Her goal was to improve patients’ quality of life by bringing their stories to the attention of the media and medical community. She lobbied for more research and encouraged medical professionals to find new ways to help those suffering. Lynne created a nonprofit organization (NPO) to help address the needs of the more than 10 million Americans afflicted with FM. The National Fibromyalgia Association’s credibility and legitimacy grew through its website and international magazine, Fibromyalgia AWARE, and the organization became the leading international NPO providing support and awareness for the FM community. Lynne’s reputation as the patient expert in the field of FM and chronic pain became indisputable and she knew what needed to be done next: establish a model for an interactive website to provide millions of pain patients 24/7 support, motivation, resources, referrals, solutions, and evidenced-based health care. 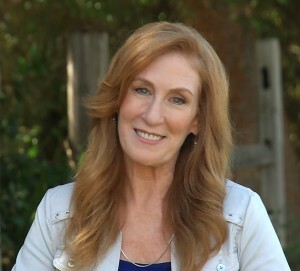 In 2011, Lynne’s company, Community Health Focus, Inc. (CHFI), was established, driven by her passion to create a unified support system for people in pain. Her intentions never wavered throughout the four years of intense development for CHFI to realize the Community Pain Center™ (CPC). During its initial stages of experimentation, research and development, Lynne funded the process herself and enlisted the dedicated individuals who are the company’s executive team, and have provided thousands of hours of non-compensated work. The initial stage of the CPC was launched in May 2015. In the coming months it will be the online health care delivery system that goes beyond providing information, but motivates and supports consumers to take personal action. By utilizing the site’s programs and resources members will create solutions for improved wellness. The CPC currently features a host of interactive videos in the e-HealthMedia™ theater; special offers, discounts, and samples in the Resource Center; engaging and educational articles in the Learning Center; and self-management tools, including STAR™ (Symptom Tracker and Reporting) program and WISH™ (Weekly Individualized Self-Help) program. Coming very soon to the CPC are My Medical Vault™ for HIPAA-compliant storage of patient information, an evidence tracker all about treatments, and a vast array of independent affiliate medical offerings found in the Community Partners section. All of these will provide patients, clinicians and caregivers a new system for health care delivery and improved health outcomes. The CPC will also include one-on-one assistance, allowing users to interact with a team of healthcare professionals to help them establish their own self-management programs, resulting in system-wide medical cost savings. The Community Pain Center, brought to life by Lynne Matallana and her hand selected executive team, is revolutionizing health care by delivering access to care and new treatments via the Internet, which will improve health outcomes and lower medical costs for millions of people.